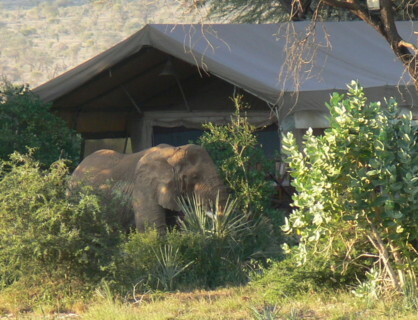 Location: all three parks border the Ewaso Ngiro River, the life line of the parks, and form one big eco-system. 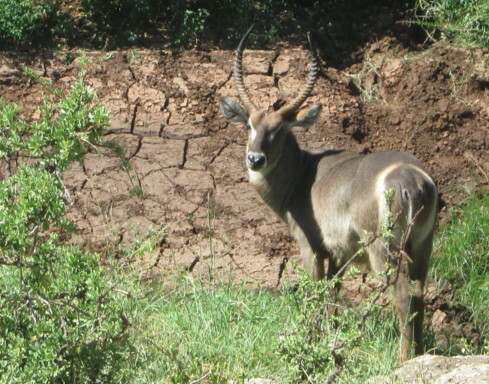 Buffalo Springs and Shaba are south of the river, Samburu in the north. A bridge over the Ewaso Ngiro connects Buffalo Springs with Samburu. 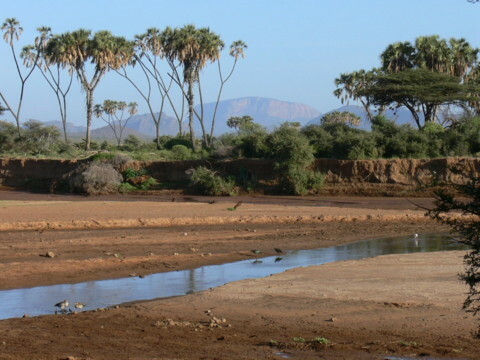 Landscape: the three parks are semi-deserts with more vegetation and game along the Ewaso Ngiro River, which has its source in the Aberdare Range. Seasonal creeks, crossing the parks, drain into the river, adding to the greatly varying volume of water. The river with the typical Doum Palms and the table mountains in the background give the parks a unique landscape. The Doum Palms are also found in the Meru National Park.